Oh, my! This makes my day so much better–to win another one of your beauties! I am delighted. I have been dreading this week b/c I have to have a colonoscopy Friday–sorry if some of you feel that it is not appropriate for me to mention that on a blog. At any rate, your free bead lightens my spirits! I just wish it were already Friday night and the doc ha told me that everything is fine!!!!! 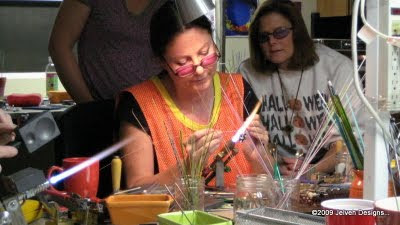 Small world but maybe not, at least in the glass artist world… I also get Corina's newsletters so I'm happy to find out you two know each other! 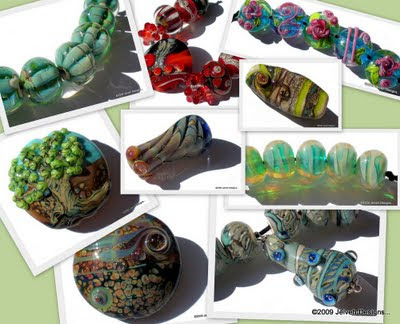 I've never taken a glass bead making class but it's definitely on my "bucket list". Get some much-needed rest, Jelveh, and we all look forward to seeing more of your new creations! The focal lentil bead you are giving away is lovely. I am always amazed at your creativity. I have never taken a bead making class. To Ginny: I have had several colonoscopies and the preparation for the colonoscopy (taking a prescription laxative-usually the day before the colonoscopy) is the worse part. That is the only part of the colonoscopy that I dread. Thanks, guys, for the good wishes and encourgement. This will be my fourth colonoscopy so I know what I am in for. There will be one diffference this time. The doc is using a general anesthsia b/c I have a redundant colon that is extremely difficult to get through. I do have a suspicious area so prayers and good thoughts are very much appreciated. YAY! Colonoscopy is over. Two polyps were found and removed. Both were benign!!!! Thanks for all the good thoughts, wishes and prayers! 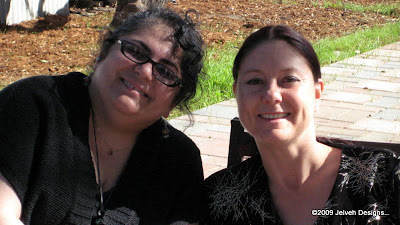 Previous post Corina & her class were Awesome….